With approximately 2,000 tiny vegetation-topped islands featuring numerous coves, lagoons, caves and coral reefs, Halong Bay is one of the most spectacular natural landscapes in Vietnam, and a Halong Bay cruise is what no one should miss. 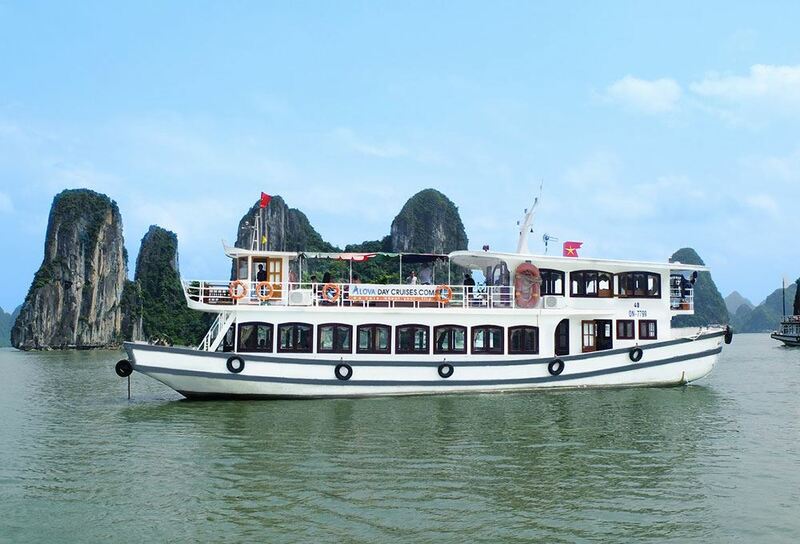 Keep on reading to find out what to know about a Halong Bay cruise. How to choose a good cruise? 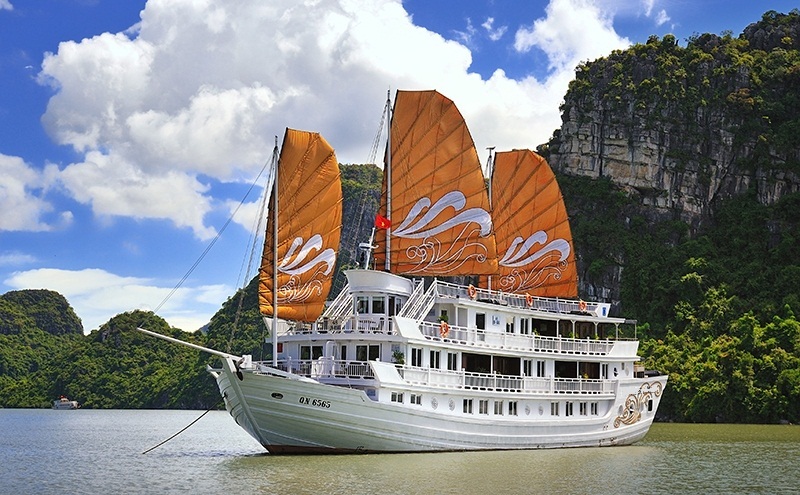 Due to hundreds of Halong Bay cruises, searching for and booking a good one can be daunting. First time making your choice can be difficult but don’t be overwhelmed! Although each traveler has his own interest, there are these common standards to rank and vote. To make sure your choice is good, ask for experienced travelers’ advice. The best way to fully appreciate the splendor of Halong Bay’s scenery is from out on the water even though it is visible from the shore of Halong City. The classic choice should be a cruise and there is a wide range of options to suit all tastes. Taking an overnight cruise, with the one-night option being the classic choice, is the most popular way to explore the bay. A large number of companies have recently introduced longer three-day-two- night and even four-day-three-night itineraries, which will take passengers to some more distant destinations of the bay. How long does a cruise last? There is a range of cruise lengths on offer. If you are very short on time, let’s consider a popular choice among many of the large tour groups: setting out early for a long day trip from the capital city to the bay and having a half day cruise, before coming back to the city late in the afternoon. But staying overnight in Halong City and taking it a more leisurely pace is more highly advisable. 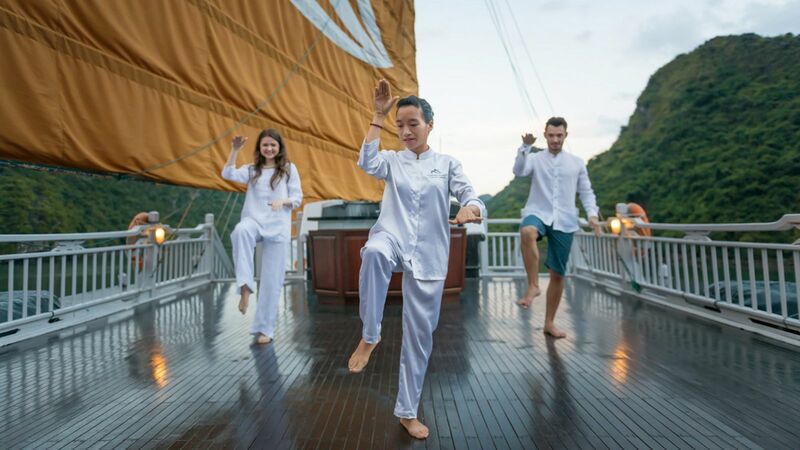 Allowing getting out into the bay to enjoy the relaxing atmosphere onboard, but not taking too much time to explore other destination during your Vietnam itinerary 2 weeks, a one-night cruise is an excellent choice for most travelers. 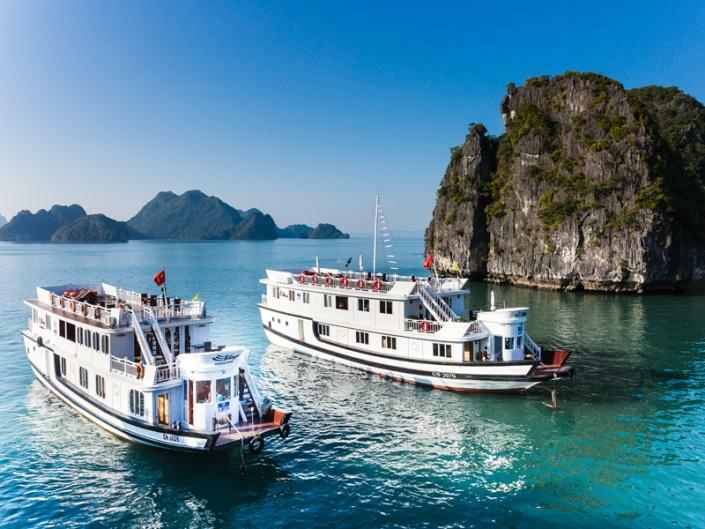 Most cruise operators choose to commence overnight cruises at midday, which allows travelers sufficient time to leave Hanoi in the morning and arrived in Halong Bay in time to get settled and set sail since lunch is being served. In the afternoon, you will sail around this bay to visit one or two of the most famous beaches, caves or colorful floating villages. After you have moored for the night, dinner is served. On the next day, before returning to port and disembarking at around 11 AM, you will make a further stop. If time permits, a good way to leave the crowds behind and head deeper into the bay is a two-night cruise. On the first day, you are free to take part in swimming, kayaking and explore the quiet coves without disturbance. Besides a small number of boats operating true two-day itineraries, where passengers remain with the ship all the time and head into the less-known corners of the bay, there are also some transferring you from the main ship to a smaller day junk for your activities on the second day and rejoining the main ship in the evening. For those who want to explore the more remote corners of both Halong and Bai Tu Long Bay, a three-night cruise is the most suitable choice. What are activities to enjoy on board?